After a great first round (7-1) I wasn't so lucky in the second round. While I nailed the West I bombed the East and went 2-2, bringing me to 9-3 over all. In the past the East and West have shared separate days, not any more. Now it's the Conference Finals for the East and the West. The franchise of Orr, Neely, Bourque, Esposito, Ross, Cheevers, and O'Ree had not been to the Eastern Conference Finals since 1992. Every team but the Blue Jackets, Coyotes, Predators, and Thrashers have been there since. They were close last year before a historic collapse to the Flyers after winning the first three games then losing the final four. There was no repeat this year. 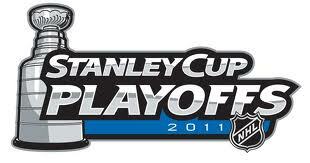 Instead the strong goaltending of Tim Thomas and the Bruins defense have led them one step away from the Finals. At 41 your career is supposed to be over. Don't tell that to Dwayne Roloson, though. After a mid season trade from the New York Islanders he became a stabilizing force in the weak Lightning net. Behind the high powered offense of the Lightning and an able, developing defense behind the able coaching of Guy Boucher they've ridden it to the second conference finals of their short history. Once again a series will come down to goaltending. The strong defense of the Bruins evens out the offensive power of the Lightning, which may be missing the potent Simon Gagne. The question becomes will Tim Thomas be able to stop the solid chances the Lighting generate, and will Dwayne Roloson still be able to stand tall? Call it silly, call it crazy, I'm giving the benefit to the team that seems destined to head to the Finals for the second time in it's franchise history. Despite a solid fight from the crew from Nashville the Canucks moved on, over powering the Predators at nearly every turn. Only the great goaltending of Pekka Rinne kept them in the series as the potent offense of the Canucks took them back to the conference finals for the first time since their 1994 Stanley Cup Finals loss to the New York Rangers. Can Roberto Luongo take the next step in making his legacy grow? Will the Sedin twins make it to the Finals together? 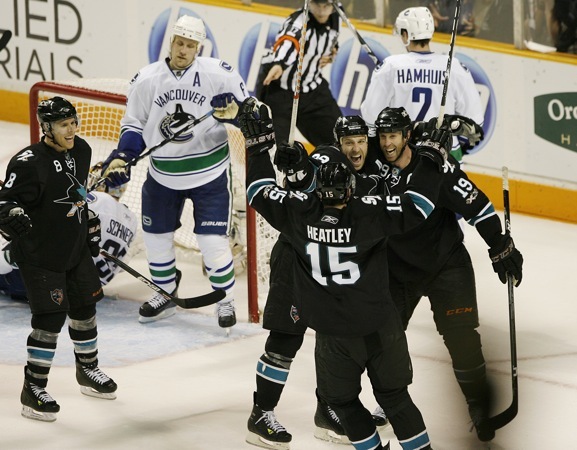 For the second year in a row the San Jose Sharks find themselves on the brink of the first Stanley Cup Finals of their franchise history. This time they were able to shed more of the skin that they had worn before, of being a perennial choker in not giving up a three game lead to the Detroit Red Wings after winning game seven in close fashion. Maybe it was the goaltending change of Evgeni Nabokov for Antti Niemi, last years Cup winning goalie, that made all of the difference. In a weird coincidence (maybe?) both teams have nearly choked away playoff chances. The question basically becomes which team will be the one with the most breathing room come this series? Both teams have offense to spare. The prior experience of the Sharks in the conference finals makes them even more hungry to make the next step, plus the experience of Niemi sets them apart. If Lance Armstrong Cheated, Who Cares?